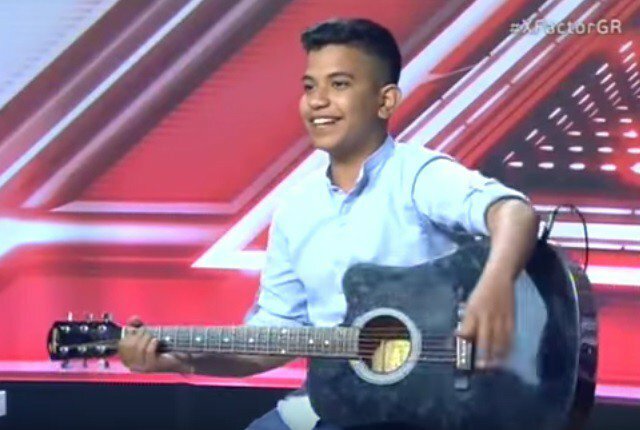 A 16-year-old Greek boy made two hosts of a talent show cry with his rendering of a Stelios Kazantzidis song on Thursday. Alexandros Sagkouris came on the stage of the X Factor talent show with his guitar and introduced himself as a “tsigganaki” (little gypsy). Then he started singing “The bread of foreign lands” (To ψωμί της ξενιτιάς) by legendary Greek singer Stelios Kazantzidis, a song about Greek immigrants. Soon, his heartbreaking performance made two of the judges cry. The other two were sitting speechless and still. The camera also showed several in the audience wiping their tears. The young boy told the judges that he studies at a music school in Thessaloniki and he also plays the violin.